WHOA! 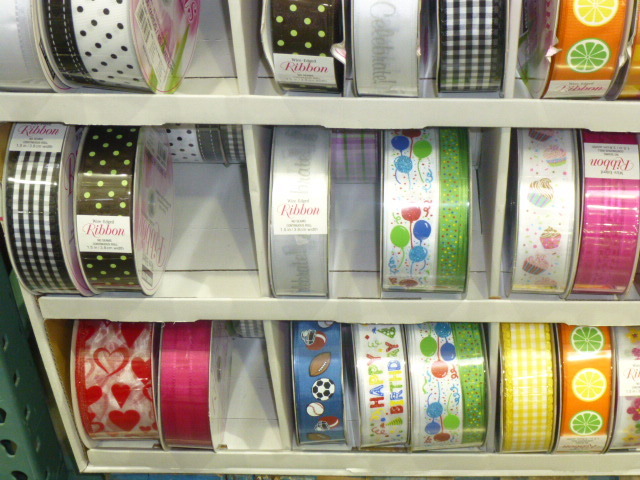 They are super early with the spring ribbon collection this year. 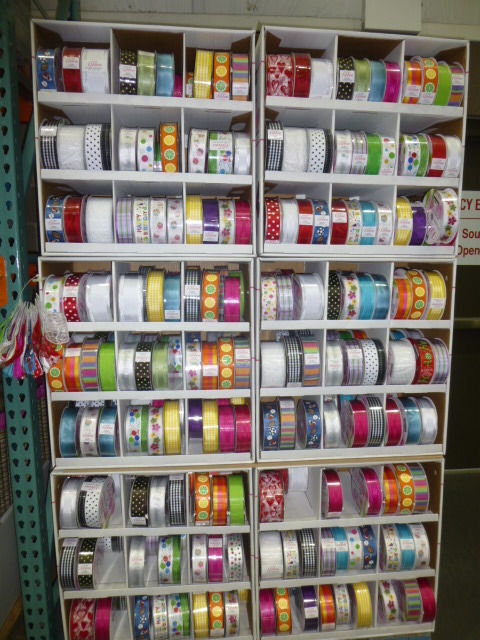 At MY Costco, that is still a fair amount of Christmas ribbon still available too. I guess by ‘overlapping’ the two seasons they can avoid putting the Christmas ribbon on clearance?? I only allowed myself to buy this one spool. Lots of other fun bright spring colors though. (didn’t have my camera to take pics!) 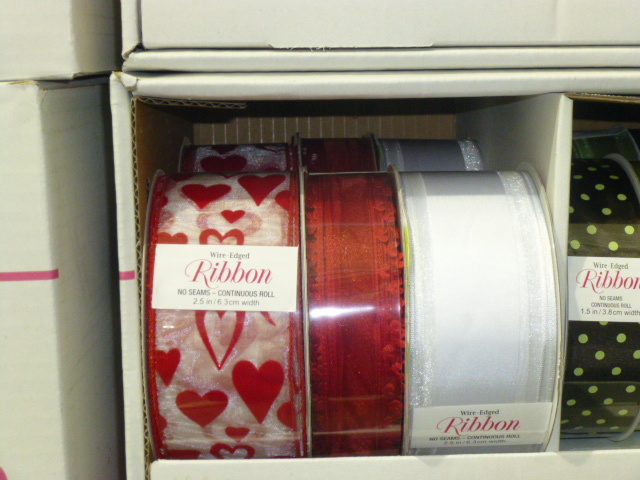 And even some coordinated sets of two ribbons together. 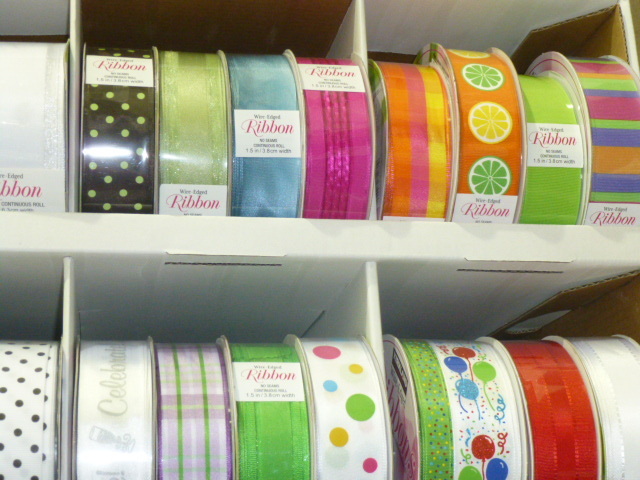 This ribbon that Costco carries is the LEAST expensive and best quality ribbon you will find ANYWHERE. Even cheaper than WHOLESALE! It’s just under $8.00 for FIFTY yards. 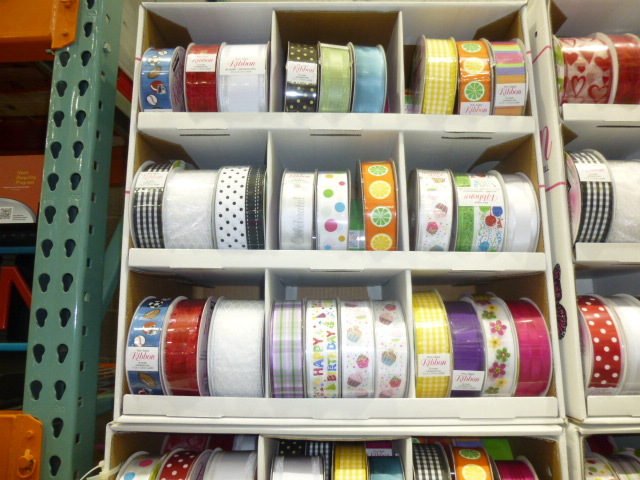 So, of you are in the market for some new gift wrapping or crafting ribbon, DO check out what Costco has. And I’ll try to post a picture of the rest of what they have soon. 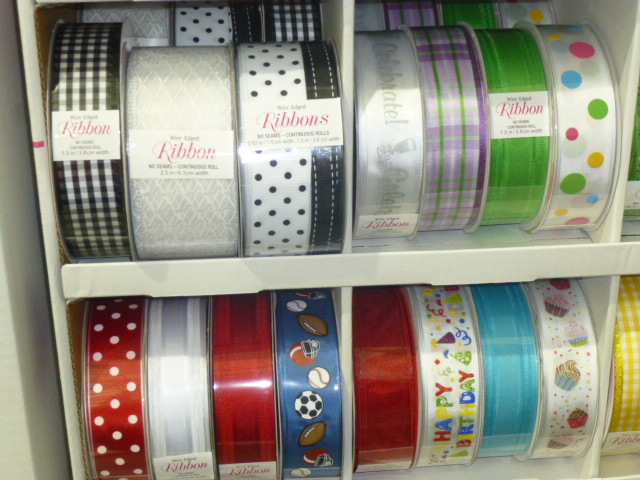 These are a couple of the selections with 2 coordinating ribbons of 25 yards each. All the rest are 50 yards. 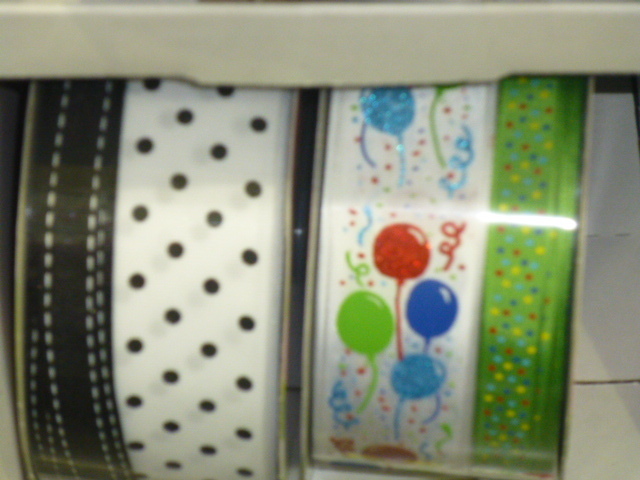 Hard to tell in the pictures, but there are many different designs on the white spools. That’s the turquoise that I got. It takes a LOT of self-restraint for me to not buy one of every color!! 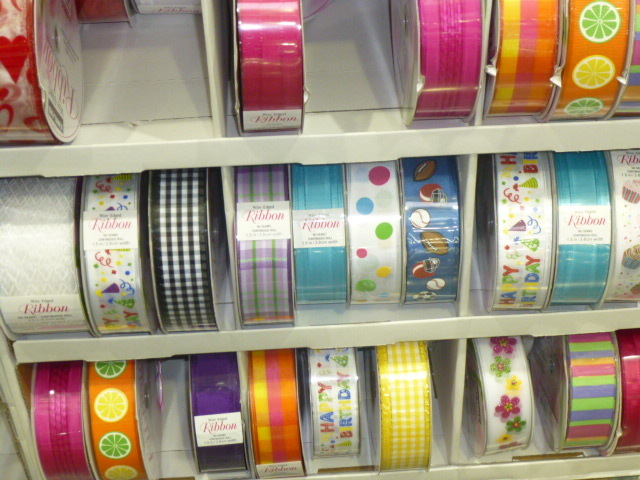 But seriously, if you use ribbon for crafting or need some for gift wrapping, Costco has the BEST PRICE of anywhere I have ever shopped. And a pretty awesome selection too!